Fire is more challenging than Frost and some think that makes Fire more interesting than Frost. Most high level PvPers are Frost, but there are a few who go Fire and there are even a couple in the top 100 ranks. If you’re up for the challenge, read on. 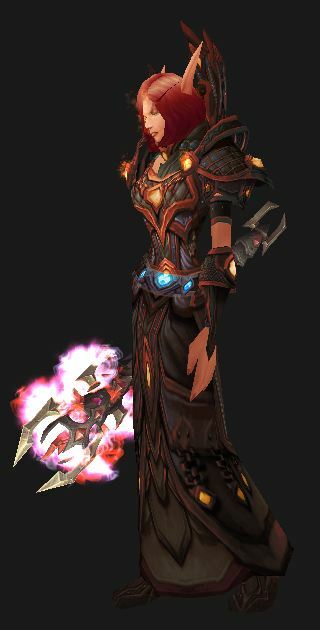 Mage races for PvP – An additional edge, choose wisely. Fire’s survivability and control are greater than that of Arcane, but less than Frost. Fire relies on DoT’s and Pyroblast procs to do the majority of its damage, making it capable of putting out damage on multiple targets. 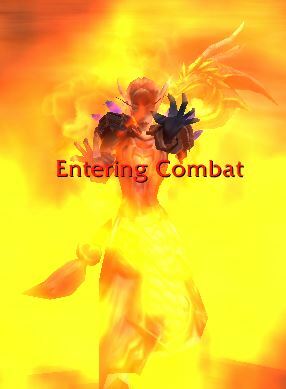 Fire can do very well in battlegrounds PvP, but the lack of survivability and control makes arena a bit more interesting. Some skilled players are competitive though, and Fire Mages can do some pretty impressive burst when things line up. Fire is also quite vulnerable to dispel magic (your procs can be dispelled) and RNG (Random Number Generation,) which means that if you’re facing a good dispeller or are simply unlucky you’ll find yourself doing far less damage than otherwise. Basically you live by the crits. As long as you’re generating Pyro! procs then you’re fine. The guide is oriented towards level 100 PvP. If you’re looking for raiding info then see our page on Fire DPS. If you aren’t yet 100 and want to get there ASAP then see this leveling guide. 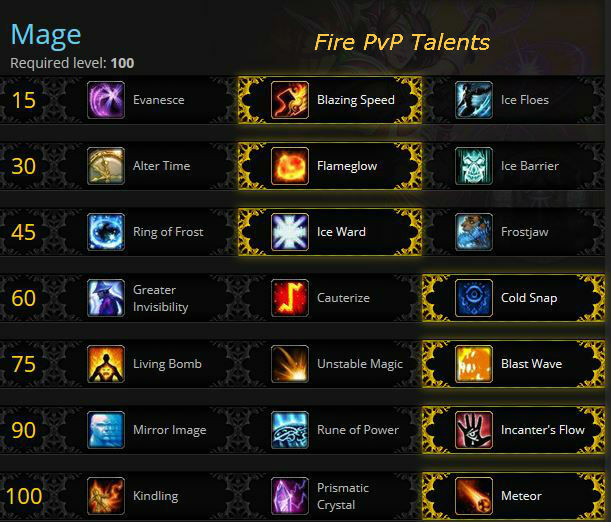 Also see our Warlords changes post for info on the new skills, talents, glyphs, etc. Let’s see… you can do ganking, world PvP (solo or group,) duels, arena (2, 3, 5s,) and various BGs. Your talent picks will vary depending on your PvP of choice and your group. Our picks for general PvP are checked , but other talents might be the best for particular situations. If you’re not yet 100 then go here. Evade attacks: Evanesce – 45 second cooldown Vs Ice Block’s 5 minutes. Lets you avoid all attacks for three seconds, which can be useful. It can also be annoying to the enemy if you can time it right. Does not removes effects already on you, unlike Ice Block, but has a much shorter cooldown. Movement: Blazing Speed does nothing for your DPS, but gives you a nice “break free from snares,” which saves your Blinks. It’s also a good gap closer or space maker. More movement capability is always a good thing. Move and Cast: Ice Floes now comes with three charges, so three spells while moving with that 20 second recharge. The least of these talents for PvP. Three talents for mitigating damage. Escape damage: Alter Time lets you rest up to the last ten seconds. It lets you avoid that massive incoming damage. Doesn’t save you if that damage kills you, however. It also does not affect mana, buffs, or debuffs. It’s pretty much a survival talent, not an “extend damage” talent, but it can save your form a lot of damage and reposition you for more effective blasting. Passive reduction: Flameglow constantly mitigates some damage. It’s a great choice for fights where you anticipate taking constant fairly small damage. It won’t save you from dying in a stun or massive damage, but you also don’t have to remember to use it and it will constantly mitigate some damage. It cannot be purged and it does not consume a Global Cooldown (GCD) as it’s a passive. One less thing to deal with. Over a longer period it can absorb more damage than Barrier, plus you don’t have to wait for the cooldown to reset after the barrier is knocked down. Nerfed somewhat in 6.2. Shield: Ice Barrier is the “fire and forget” shield. Put it up and forget about it for a minute. Blocks a fair amount of damage. Especially useful in fights where you are suffering from “pushback” or there’s a big chunk of damage coming in. With a 25 second cooldown you can have it up much of the time. It can be purged and takes a global to apply. As this tier is composed solely of CC, take whichever appeals to you most/suits an encounter best. Each talent has definite strong points. Area freeze: Ring of Frost is an AoE CC. Freeze several opponents and let your team burn them. Nice for grabbing a group or blocking pathways (eg: tunnels to bases in the BGs.) Takes 2 seconds to cast or arm. For small groups and duels Frostjaw might be more useful. For the Battlegrounds, Ring has definite uses. Works great against anyone who can’t be hit with Ice Nova (eg: Ferals.) Or freeze a group and blast away. Have your DK pal Gorefiend Grasp all enemies into the ring. With careful planning you might be able to ring the entire enemy team. Melee: Ice Ward is another form of AoE CC with different usage. Useful if you or another is being attacked by melee. Nice for kiting that melee as you get three shots every 20 seconds. Not so useful against caster teams. Even if you have Blast Wave this talent will still cast Frost Nova. Root & Silence: Frostjaw is a very nice single target CC/Silence, freezing the target in place and silencing him. It’s your only blanket Silence. Since you no longer have Deep Freeze or Shatter it’s not what it used to be. Good vs. Casters. Drop effects: Greater Invisibility is an interesting choice for survivability. It removes effects, massively reduces damage, drops you from the “radar,” so can be very nice in bad situations, escaping, or getting into better position before unloading. Escape a killing blow: Cauterize lets you avoid death, but also sets you on fire, which is actually a much better tradeoff than it might sound. Ice Block removes the DOT, Evanesce removes part of it. Not so interesting in PvP as in PvE, though if you have a sharp healer it can save you. Reset: Cold Snap resets your Ice Block, Dragon’s Breath, and Frost Nova. The additional Ice Block + 22% Heal can help survive in some bad situations. In Warlords you can only access Living Bomb, instead of any the bombs. Which of these talents is “best” depends on the game you’re playing. DOT: Living Bomb is a fair choice, esp. if you prefer a DOT and don’t want to break nearby CC. It doesn’t break nearby CCs until it explodes and if you refresh it before it ends then it doesn’t explode and just continues the DOT. Passive: Unstable Magic is a solid single target choice and decent against groups. It has a 30% chance for your basic Fireball to explode on impact, doing more damage to the primary target and also damages nearby targets. Better for PvE than PvP since it’s random. Boom! : Blast Wave does solid damage to the main target and decent damage to all other targets within 8 yards, also slowing them. Can be brutal when combined with Incanter’s Flow and Prismatic Crystal. You can also cast it on friendly targets, or yourself, to damage and slow nearby enemies so it’s also something of a peel. Replaces Frost Nova. This is easily your hardest hitting spell. The wave effect will break any CCs on nearby targets. Burst: Mirror Image – every two minutes you get three images to blast away at the target. Nice for the burst. Maybe be the best of the three for duels. Stay in place: Rune of Power is the simplest to use of this tier, seeing as all you have to do is stand in it. Might be useful in certain BGs when you have are able to just stand in one place and blast away, such as blasting the AV or Isle of C. bosses. In PvP you will be moving too much to make good use of this talent. Passive: Incanter’s Flow is constant and will average out to about 12% increased damage, while moving and doing everything else you do, which aint’ bad. It cycles from 4 to 20% added damage, peak to peak is ten seconds. Try to cast your pyro procs at the peak flow to get that 20%. These are all good, but have different uses. Cooldown reduction: Kindling: Each of your crits from Fireball, Pyroblast, and Inferno Blast reduces your Combustion cooldown (base 45 seconds) by 1 second. This is a passive effect, so one less item on your bars. The wekest of the three. Have two charges of Blastwave ready, have Pyro! & Heating Up procs ready, fire any “on use” buffs (such as your Int potion and/or trinket,) then drop the crystal and fire away. Area: Meteor: Every 45 seconds you can drops a fraggin’ meteor!! Does damage to an 8 yard area, also burning the ground doing continuous damage to all who remain in the fire. Orbital bombardment is always cool. The 3 second delay makes it necessary to be careful with your targeting, but that’s what your team’s stuns are for. Using a Dragon’s Breath or other CC right before meteor lands makes sure that they’ll hang around for the impact. Flag being capped or some other group staying in place? Blow ’em up. Applies your Ignite to any enemies that it burns. In Warlords you now learn certain glyphs automatically, just as you do your abilities. You still have to instal them, but you don’t have to otherwise acquire them. All mages learn the same set of glyphs. You can still buy the other glyphs the usual way. Exclusive glyphs are glyphs which cannot be used with each other, such as the glyphs of Regenerative Ice and Ice Block. As with the talents the glyphs are easily changed to suit the situation. Glyph of Polymorh – removes all dots from your target, making your Poly stick better. Glyph of Ice Block – When your Ice Block ends you get an immediate Frost Nova and 3 seconds of immunity to all spells. This works even if you cancel Ice Block early. Exclusive with other Ice Block glyphs. Glyph of Spell Steal can add up if you’re able to spam it, though it’s a big mana hit. You do have to sucessfully steal a spell to get the heal. Glyph of Remove Curse is a damage buff every time you remove curse. If you are using this ability a lot then you want this glyph. Glyph of Combustion – More burnination on a longer CD. Can make for brutal combustions if you can line it up with Pyro! crits, Incanter’s Flow, and your damage buffs. Glyph of Blink – More range on your Blink. Glyph of Rapid Teleportation – speed boost for 1 min after teleporting. Glyph of Momentum – Let’s you bink in the direction you’re moving rather than facing. Nice for strafing. Warlords Note: Hit, Expertise, and Resilience are dead and so is Reforging. Yes, some gems and items still have Resilience. Look at your character pane, though. You will not find a “resilience” stat. Int no longer adds to Crit, but you start with a base 5%. Crit is also your “Attuned” stat, meaning that Blizzard feels it’s the best stat for your damage output. An attuned stat gives you an addition 5% to that stat (from all sources) and yours is provided by your new level 90 ability Incineration. You also have two new stats, Versatility and Multistrike. Gear should have Crit & Haste, then Mastery. Forget the rest. Never sacrifice Crit for any other stat. Int also increases every damaging thing you do, as it’s your Spellpower. It does not add to your mana pool, crits, or anything else. All of your gear has Int on it anyway and there are no cases, in Warlords, where you have any chance to swap Int for any secondary stat. Crit – your Pyroblast procs and Critical Mass make Crit, by far, the most valuable of the rest of the stats. With your base 5%, Molten Armor, Arcane Brilliance, and Incineration you start at 20% Crit. While Crits only do 150% damage (200% in PvE) you’re looking for procs from those crits more than their damage. Mastery is generally weak and your ignite DOTs can be easily dispelled anyway. You live and die mainly by Pyro! blasts that come from your crits, not your DOT damage. Multistrike gives you one chance for an additional strike at 30% effect (based off a new roll, not the damage you just did,) for a direct increase to your damage. Your Multitrikes can also crit, which will mean more “Heating Up” and Pyro procs. Multistrike is nerfed in PvP, in that you only get one, not two, chances at that additional attack. It’s roughly half as effective as in PvE. Versatility increases your damage and your damage reduction. It’s sort of a combination of the old PvP Power and Resilience stats. Spirit, Agility, & Str are useless to you. Tertiary stats, such as Leech and Avoidance, do not appear on PvP gear, only PvE gear. In Warlords Season 2 some of the PvP gear you find, in boxes and such, will have a gem socket. Drop Crit gems into those sockets. 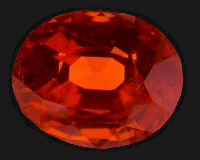 Gem primarily for Crit at any gear level. In Warlords: Hit, Expertise, PvP Power, and Resilience are all dead. Gems that used to have Hit are now Crit, and the gems that had Expertise are now Haste. Sockets have a small chance to appear on discovered gear, such as found in boxes or your Gladiator Sanctum, not vendor gear. There are no meta gems or gems that have primary stats (such as Int.) There are also no socket bonuses for WoD gear. In Short: Gem for Int or Int/Crit. 75 point gems are very expensive, 50s much less so, and 35s are dirt cheap. Two 75pt gems will add about 1.5% to your Crit rating, so if you drop down to two 50s you will only lose about .5% Crit. In Warlords you can enchants your rings and neck items. The old Hit enchants have been changed to Crit, Expertise enchants are now Haste. The Mists enchants cannot be applied to items higher than ilevel 600, so you will not be able to apply those enchants to your level 100 PvP gear. The only warlords enchants are the ones shown below for Weapons, Cloak, Neck, and your Rings. Enchant Weapon – Jade Spirit: Sometimes increases Int by 83. Mastery: 5 second DOT, based on how hard you’ve hit. All your fire shots add in to this ignite. Scorch: meh damage, but can cast while moving and get procs. Your perk adds a speed boost. Fireball: cast time, decent damage. Pyroblast: long cast time, hard hitting, you’ll rarely use this unless opening from surprise. Pyro! : Your Pyroblast proc, instant cast, free, and 25% more powerful. Can be purged. Combustion: takes your ignite (mastery) that’s already on the target and and makes an additional DOT. Inferno Blast: does damage (more with the glyph) and spreads dots. Always crits. Used to push a Heating Up proc into a full Pyro! proc. Flamestrike: area damage and slow, will not proc Pyroblast!. Slows the enemy. Has a cast time, with your perk it has no cooldown. Dragon’s Breath: Damage in a cone in front of you, disorients opponents, 20 second cooldown. Meteor, if you have it. Does damage to an 8 yard area, also burning the ground doing continuous damage to all who remain in the fire. Be careful with targeting, you don’t want them to be out of the area when it hits. Invisibility – disappear for 20 seconds. Greater Invisibility (talent) makes the effect instant, removes two DOTs, and provides 90% damage reduction while in effect. Cold Snap: Talent. Heals you for 22% and resets several cooldowns, including Ice Block and Dragon’s Breath. Note that if you get spell locked for most of these you will not be locked out of fire. Counterspell: Interrupts their cast, locks that school of magic for a few seconds. With Glyph of Counterspell you can use it while casting or channeling other spells. Dragon’s Breath: Damage in a cone in front of you, disorients opponents, 20 second cooldown. You can run up, DB the healer, then poly him. Peel melee off the healer and then poly one or let them wander into your ring of frost. Nice when you can get the enemy team stacked up. Also nice when you can get a DB off as the enemy is popping offensive cooldowns. Note that the cooldown is short enough that if you DB the same opponent as it comes off cooldown, you might hit the Diminishing Returns issue. Polymorph: Another old standby. Polymorphing the other guy, such as the healer, gives you an edge. Spammable, though it’s subject to diminishing returns. Dragon’s breath into Poly. Sap (from your Rogue buddy) into Poly. If the first is trinketed the 2nd sticks. Ring of Frost (talent) is great for blocking areas. Plop it down such that disoriented (from your Dragon’s Breath) opponents will wander into it. Ice Ward (talent) causes an ice nova to root your opponent(s) when they hit you. Other enemies that are close will also be rooted. This is very nice when you’re being pressured by melee. Frost Jaw (talent) is nice when fighting casters. Root ’em and quite ’em all in one. Root ’em (they trinket) and then poly them. Blink: Another old standby, frees you from stuns and roots. Your perk gives you 2 seconds of faster movement after blinking. Blazing Speed (Talent:) a brief burst of +50% speed. Use it to better position yourself, either for a Dragon’s Breath or to get distance. It frees you from Snares, which saves a Blink. If you can jump before it expires then you’ll get a bit more distance. Improved Scorch perk: 30% increased speed, after scorching, for three seconds. Slow Fall: Another old standby, if you have to leap off a cliff to escape. Cloak enchant (Enchant Cloak – Gift of Critical Strike) adds 10% speed. Nitro Boosts, if you have Engineering. Time Warp – +30% Haste to everyone in the party for 40 seconds. Spellsteal – Grab a helpful effect from the target. Very high mana cost. Glyph of Spellsteal adds a small heal every time you grab a spell. Critical Mass – 130% chance to crit on abilities that can generate a proc. Enhanced Pyrotechnics – stacking crit chance for Fireball only. Improved Flamestrike removes the cooldown. It still has the cast time. Improved Inferno Blast spreads your DOTs to additional targets. Improved Scorch – faster movement after Scorching. Note: At the top of the page I mentioned that your procs are vulnerable to dispelling. Your going to need to deal with that dispeller. Conterspell and Frostjaw (the talent) can help, so can having your team beat his head in. Videos are below this section. Same bonuses as Season 1. With the set bonuses: You will want to Scorch three times, to get the max Fireball Crit chance buff, then Fireball. With the 4 piece bonus you will be casting Fireball(s) right after your fire your Pyro! proc. 2 piece Set bonus: Casting Scorch reduces the cast time and increases the critical strike chance of Fireball by 15%, stacking up to 3 times. 4 piece Set bonus: When you consume Hot Streak, your Pyroblast target has a 15% increased chance to be critically hit by your Fireball spell for 10 sec. If you’re in Ashran you can get special items from killing the level 102 rares. One example is the Blink book, which will reduce your Blink cooldown while in Ashran. Make sure you use these. The best use of Inferno Blast (IB) is to trigger Pyro procs, since IB is a guaranteed crit. Pyro! = your Pyroblast! proc. Basic method 1: Inferno blast, wait 8 seconds, 2nd Inferno blast = Pyro! proc. DO NOT cast your scorch or other fire spells during that 8 seconds. Scorch until you have a heating up proc. Use instants. Your blastwave has a slow and your Ice Ward will root them. There’s also your Dragon’s Breath. All of your Ignites add a slow. Bait the silences. Cast a Poly (for example,) it gets “kicked,” and you’re not locked out of your Fire school. If you suspect that Rogue is going to Shadow Dance > Garrote then you cast something unimportant and let him lock that. Inferno blast > wait 8 seconds > inferno Blast > fire off the Pyro! proc. Warlords note: You no longer have Shatter or Deep freeze. You DO have an extra 5% chance to Crit, base, and you have a level 92+ perk, Enhanced Pyrotechnics, which grants you a stacking 5% crit buff for your Fireball until you DO crit. Hansol’s probably one of the world’s leading Fire Mages, with a 2800 or so arena rating. He’s also able to explain clearly what he’s doing. Nice combination. In this one he discusses the Fire Mage rotation and a nifty little add-on. Here’s how to make the best use of your Pris. Crystal in the Arena. Hansol the Pyromaniac demonstrates BG burnination and why Fire is just plain fun. Not updated for Warlords, but close enough. Unless otherwise noted (ie: Free) a Skill-Capped membership is required to view these videos, the membership is a grimly expensive $4 a month. Go here if that works for you. They will have a number of Warlords videos coming out. Video: How to do the damage – patch 5.1, but still good. If you’re not binding your abilities to your keys then you’re gimping yourself. Here’s a good tutorial on the why and how of keybinding. Start with a few bound abilities and work out from there. Memorize them by practicing on the target dummies. Check out Impulse if you want an addon that will help you with your keybinds and macros. Removes curse(s) from your mouse-over target. If you’re removing curses regularly then you want Glyph of Remove Curse for the damage buff. This makes sure you stop casting whatever you’re casting (Scorch, Fireball, etc.) and then cast what you need to cast,. such as Counterspell or Dragon’s Breath. Similarly you can cancel out of Ice Block or any other beneficial effect in order to cast something else. You can also cancel things such as a Paladin’s hands: /cancelaura Hand of Protection. With the /stopcasting you can also use this to stop casting any other spell to get that counterspell off. If you don’t have a target then Blast Wave will go off with you as the target. This macro makes sure that you have a live target for your Blast Wave. It will not target you if there is no other target selected. This will save a few accidental Blast Waves where your target dies or you otherwise lose targeting right before/as you cast. You can do this with any spell you might cast on an teammember, such as Ice Ward. In addition to the traditional ways of getting gear (fight to earn honor/conquest points and buy gear) you can now win gear in strongboxes earned from BGs and Ashran events. You can also get random pieces of gear from your Gladiator’s sanctum. Conquest gear is rarely, if ever, found in those boxes or in your sanctum. Also, you can earn Conquest points (and Honor points) from your Sanctum and by doing the PvE events in Ashran. Do enough of those events and hand in enough bones and you should be able to get a fair number of Conquest points. Can you use PvE Gear for PvP? Yes, but… PvP gear comes in two ratings, one for PvE and one for PvP. For example, the honor gear is 675/710. That means it’s 675 in PvE (dungeons, etc.) and 710 in any PvP situation. Wild Aspirant is ilevel 625/700 and is found from your Gladiator’s Sanctum work orders, in strongboxes won from the BGs, or from Ashran PvP events. It can also be found as “Warforged,” which adds 6 item levels. This gear cannot be purchsed. If your raid gear is better than the PvP rating of the PvP gear then yes, you should use the PvE gear. Note that if both of your trinkets are PvP trinkets that you will get a 15% damage reduction Vs player damage. Which is nice since Resilience is dead. Example: Primal Gladiator’s Badge of Dominance – see the set bonus? Get leveled and run BGs or Skirmishes. Try to get the honor cap (4k) by the time you hit 100. This will allow you to immediately pick up the honor weapon or trinket pair (for the damage reduction) when you hit 100. Two 640 armor bits, go for the chest and the legs. Can be upgraded to 715 in season patch 6.2. Yes, these will be slightly better than your 710 season 2 honor gear. 630 Weapon: Crystalfire Spellstaff – upgrade to 705. Alchemist trinket ( Draenic Philosopher’s Stone, requires Alchemy 500.) In patch 6.1 this trinket can be upgraded. Escape trinket Crafted Malevolent Gladiator’s Medallion of Tenacity, not needed by humans. Potions and flask, as appropriate. 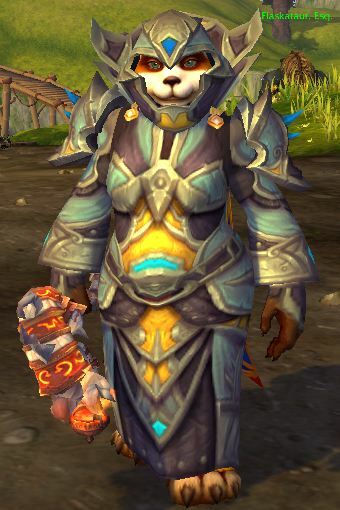 If you’re freshly 100 or the honor gear is otherwise better than your current set, then yes. Grind it out. It will make your arena and/or RBG work much less painful. If you already have the PvP escape trinket then save upgrading them to last. Otherwise seriously consider getting them first, for the 15% damage reduction. One of those trinkets will have the “on use” ability, for your Burst, and the other will have your escape. Go for items with Crit and Haste. Get your weapon(s) as soon as possible, that will be your biggest gear improvement, by far, since the weapons have a very nice Spellpower bonus. After that go for the bigger pieces first (Head, Chest, Legs, Shoulder) as they have the biggest stat increases. Try to get your 4 piece set bonus as soon as you can. Finish out with the smaller pieces. All of the Honor and Conquest pieces have to picks per slot, each with different stats. Conquest gear has a third option, once you get Revered rep with your PvP faction (Wyrnn or Vol’jin.) These pieces generally have Versatility on them. Note that only one of the items (from the set bonus pieces) will actually have the set bonus. The set bonuses are decent, fortunately you don’t have to give up anything to get them. The rep is obtained in Ashran, by handing in Artifact Fragments. This is the conquest gear list, in roughly the order that you should get them. Honor is the same, with the only difference being that you will be able to get the honor weapon first while the Conquest weapon requires 7,250 Conquest Points earned. Your Weapon, neck, rings, and cloak can be enchanted. No gem slots will be available on an purchased item. None of these pieces require faction rep. If you don’t have the escape trinket then get that first. Consider getting the trinket pair first, for the 15% damage reduction. If you already have that, from an older set, then wait on them until later. Shoulders: Wild Gladiator’s Silk Amice – none of the pieces have Crit. You now have the two piece set bonus. DPS trinket: Wild Gladiator’s Badge of Dominance for the “on use” Int. Chest: Wild Gladiator’s Silk Robe– set, none of the pieces have Crit. Legs: Wild Gladiator’s Silk Trousers – Crit and Haste. You now have the 4 piece bonus. Humans can use Wild Gladiator’s Insignia of Dominance for the Int proc. Wild Gladiator’s Medallion of Cruelty for a few more points of Crit and the escape. In Warlords all the profession bonuses are dead. You can use tailoring to craft PvP gear or some starting raid gear and/or make some gold and engineering will burn all your gold, but will let you make some interesting gadgets. The gathering professions will be just for the gold or to supply other professions. Crafting profession can make ilevel 630 weapons and 640 armor. Both can be upgraded, points at a cost greatly exceeding that of the original item. Secondary stats on crafted items are random, but they can be rerolled until you get what you want. Leatherworking Not much, if anything, for you here. Jewelcrafting Make those nice gems, rings and neck items, and gemmed mounts. Enchanting You can now enchant everyone’s neck items and rings. Inscription Make glyphs, caster weapons, fortune cards, shoulder enchants, and a few other things. Engineering has lots of interesting toys, such as gliders, nitro boosts, bombs, and mounts. Skinning Supply leatherworking (why?) or earn gold. Herbalism Supply alchemy and Inscription or make gold. Mining For the gold or to supply Blacksmithing. Only the high points of the racials are covered below. In Warlords all racial ability that had Hit or Expertise are gone. All races now have some DPS ability. Blood Elves and Worgen have 1% crit chance, and Night Elves have it by day only. Draenei have more Int. Orcs and Trolls both have nice cooldowns and useful resistances. and can choose to be either Horde or Alliance. Humans: Effectively can have three DPS trinkets. Shadowmeld has definite uses. Ambushing, for one, dodging incoming spells (if your timing is good,) for another. Ability washes away bleeds, most magic effects, and reduces damage for a short time. Very nice ability. Worgen: More crit and more movement. Sprint-like ability is quite useful. Orcs: Best Horde race for the burst. stun resistance works out to about 1 second off of a 6 second stun. Not bad. Drain life (and heal.) The Drain is automatic and will add (a small amount) to your Damage totals. less affected by roots & slows. Rocket Jump is a decent escape or gap closer. Arcane Torrent restores some mana (which you won’t need) and silences whatever is within range. Mage leveling is really pretty easy. Once you get a couple of spells under your belt you’ll destroy things quickly and efficiently. If your mage is already at 100 then you have those other alts you want to level though those 100 levels. With the thousands of quests to the level cap and a bazillion mobs to kill (not to mention other players, but they don’t count here) sorting out which quests are best and which series of quests will get you to 100 the fastest is important, not to mention the “where to go, what to do” part, which is why we highly recommend Zygor’s Guide. 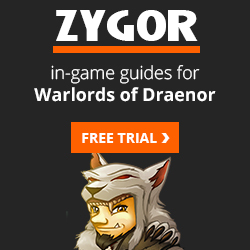 I have one question, i know this says its updated for WoD and 6.2, but what about for 6.2.2 and/or how much has changed? i just went fire after frost all of MoP and not much mage playing before that. But it your rotations that you talk about, im trying some things out with prismatic crystal, but in your rotation you say to drop the pris crystal and then drop a meteor and all the other stuff. How is this possible if prismatic crystal and meteor are in the same talent branch?! maybe im confused on wording, im not sure! please let me know! The only real change in 6.2.2 was to enable Draenor flying, nothing changed for the characters. So yeah, the page is good for 6.2.2. You’re right about the meteor. I wasn’t paying attention and I play a Fire Mage, so my bad all the way on that one. I fixed it in the text, and I’ll add a note about 6.2.2.
wow thank you for the quick reply! thats awesome! so ive been playing around w/ prismatic crystal on the dummies and in duels and so far it pwns. i do have one question though, i havent experienced it yet but what would be the best method for making sure someone doesnt run away from your crystal? id imagine if that happens id do about 1 dps and die in a heartbeat. maybe a DB? Blastwave will slow the enemy, as will your Ignites if you’re using Glyph of Ignite. If you’re in a team and you’re on teamspeak (or similar,) and you should be, then make sure they know what the crystal does and when you want to use it. Drop the crystal and they can drop a CC or two to keep your target(s) in place. I just added a couple of videos to the page, one of which is “how to use your Prismatic Crystal.” Check ’em out and let me know what you think.